There's nothing so precious and rare as sun, during the long Chicago winters. The kids and dogs had fun playing in the snow recently, while I had fun playing with the sun flairs. 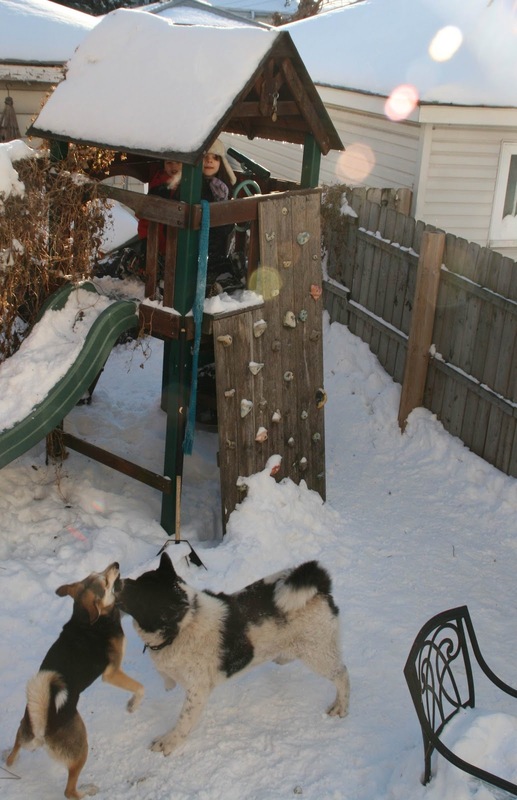 They seemed to beam right down on the playhouse, where my daughter and her friend, Lucy, shared a play day.